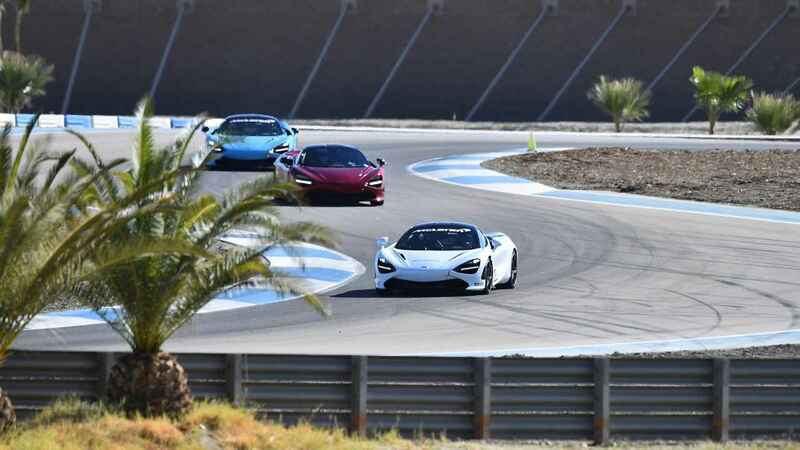 Tossing the 570S and 720S around the track is only the half of it. Thermal Raceway, located about 20 miles outside of Palm Springs, California is essentially a billionaire’s playground. The 2.7-mile stretch of pavement (in this configuration) engulfs the surrounding desert in 18 turns, an expansive infield, and one long straight good for speeds of up to 140 miles per hour. It’s a fast, fiery track – and at nearly 100 degrees in early October, the climate of this event certainly matched the attitude of the track. I attended Pure McLaren, a driving program the British supercar maker kicked off at Monza in 2017. 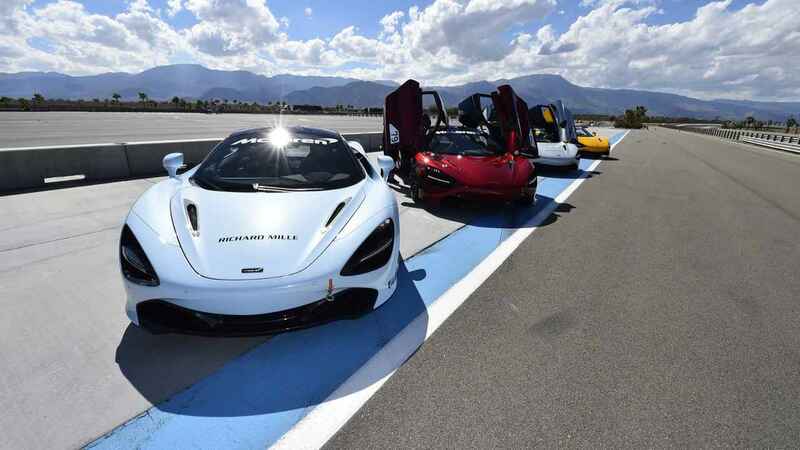 Its goal is to give a few lucky drivers the taste of what McLaren vehicles are capable of on the track. That means pushing the limits of some of its most extreme vehicles in its repertoire: The 570S, the 650S, and now, the 720S. By the end of 2017, McLaren customers recorded more than 300 days on the track – and the company is already on par to double that number in 2018. 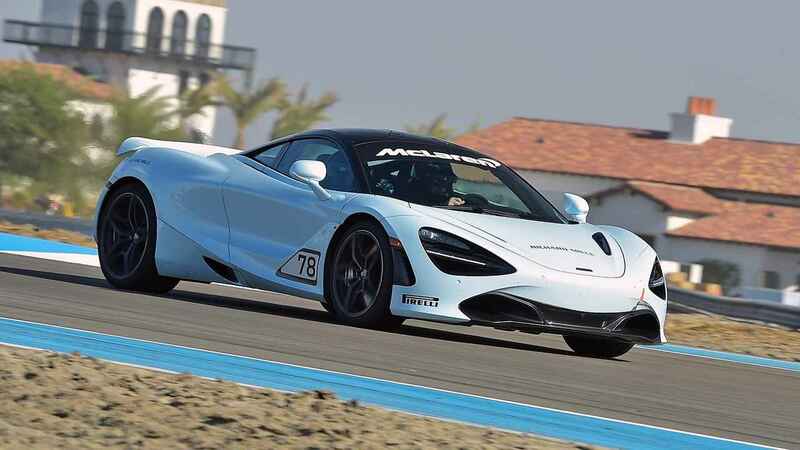 To date, McLaren has taken customers to tracks like Circuit of the Americas in Austin, Texas, the Bahrain International Circuit in Sakhir, and Portimao in Portugal. The company’s first stop at Thermal Raceway in Palm Springs happened this year, and I was lucky enough to join the fun firsthand. At my disposal in the morning was a McLaren 570S – part of the intermediate “Track Level 2” experience. 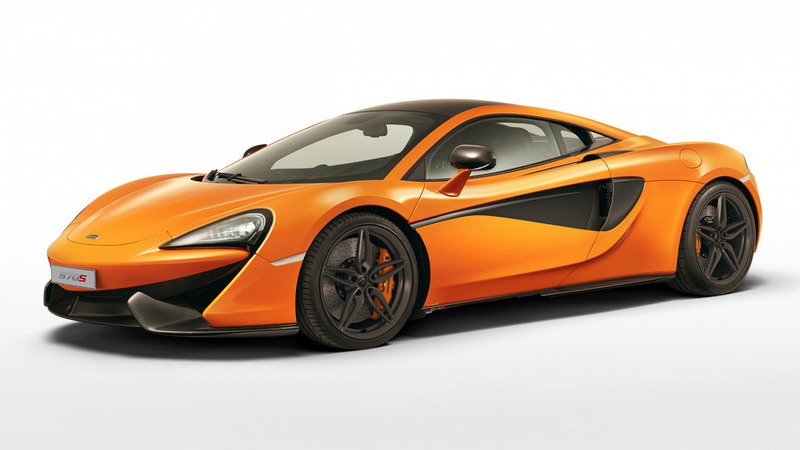 McLaren calls the 570 its “entry-level” sports car, but that term would be doing the car a major disservice. The raucous coupe packs a wallop thanks to its turbocharged V8 engine, which produces 562 horsepower. On paper, it will sprint to 60 miles per hour in about 3.1 seconds and on to a top speed of more than 200 miles per hour. The first few laps behind the wheel of the 570S gave me a feel for the car, and more importantly, the corners that I would be tossing it in to. But I wasn’t navigating the course on my own. Each student, myself included, was paired with a professional racing instructor. Riding shotgun in my 570S was Jonny Kane – you might recognize the name from racing series’ like British Formula and the Le Mans series, among others. Like all of the instructors on this event, Jonny is a real racer; not Joe Blow from your local dealer. And it proved to be a huge advantage for learning the intricacies of this course. From the get-go Jonny was directing my movements: “Hard on the brakes, sharp right, get on the gas.” The invaluable knowledge of my co-driver gave me confidence on this tricky course. Complementing the expertise of my professional racing driver/ co-pilot were multiple cameras and VBox software – essentially track telemetry software that tells you exactly what you’re doing on the track – in the car. After each heat, which consisted of about five laps or so, my co-driver and I would watch video to see where I could improve. It was a good indicator of exactly what I was doing wrong (and right). The second heat proved more successful. A brief look at the VBox revealed that I shaved 12 seconds off my initial best lap, dropping it from about two minutes and 22 seconds to a mere two minutes and 10 seconds. For reference, our instructors were running under two minutes in the 570S – so I had a lot of ground to make up. This routine would continue throughout the day, with only a break for lunch. Each heat resulted in significant improvement – seconds vanishing at each go around. My co-driver urged me to go faster and hit the brakes harder every time – McLaren made it a point to say that our co-drivers would rarely tell us to slow down. The opposite, in fact. As charming as the 570S was, the more-potent 720S kept calling my name. 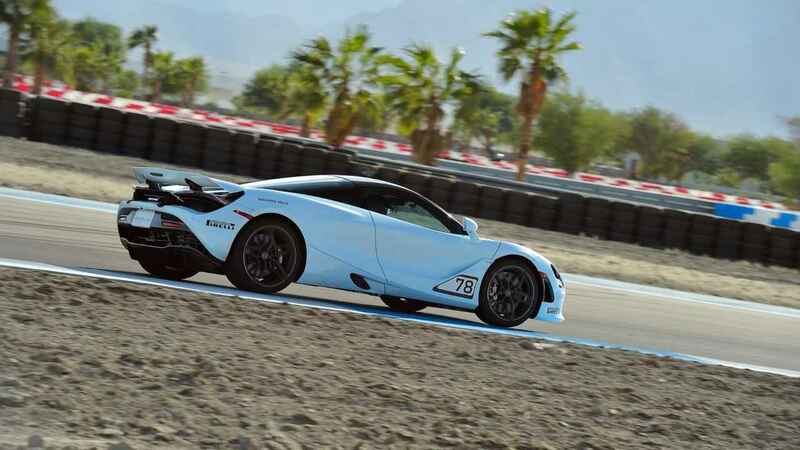 The expert “Track Level 3” experience, which consists of driving the 710-horsepower coupe, was on the docket for the afternoon and it followed the same protocol as the 570 segment: A professional racing driver riding shotgun, VBox and cameras equipped in car, with a goal to push the car – and myself – to the limit. The immediate responsiveness of the twin-turbocharged V8 engine, the ridiculously quick shifting of the gearbox, and the improved aerodynamics made the 720S more suited to the track. It was much easier to pedal it quickly through the tight corners, and up to 140 miles per hour down the back straight before slamming hard on the brakes. All the knowledge gained in the 570S meant that I could push the 720S more aggressively. My final VBox session – shortly after my run in the 720S – saw my lap-time drop from more than two minutes and 22 seconds to a mere two minutes and seven seconds – my fastest time of the day. Granted, I was in a car that had over 100 extra horses compared to the 570S. But the huge improvement in lap times wasn’t just a result of the car; it was the culmination of my instructor’s teaching, fixing all the mistakes witnessed on the VBox, and putting those results to action. Anyone that takes advantage of the Pure McLaren experience will become a better driver. That was obvious by the end of my experience. The driving school itself isn’t drastically different from others I’ve done in the past, but it’s the marginal improvements to the formula, like the inclusion of professional drivers, telemetry equipment, and in-car guidance that makes a difference here. Not only is the Pure McLaren experience a hell of a fun time, but it’s worth every penny for the knowledge it instills, as well. Not only is the Pure McLaren experience a hell of a fun time, but it’s worth every penny for the knowledge it instills, as well. 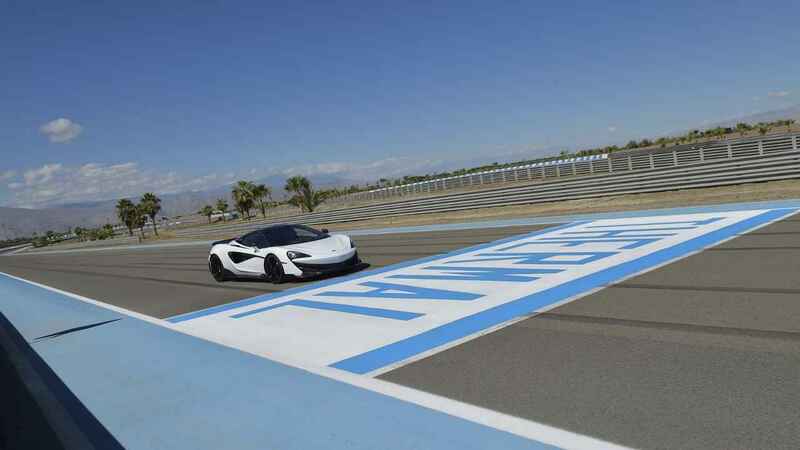 Your cheapest ticket to tossing McLarens around a track is the Pure McLaren Experience 570S. Half a day behind the wheel of a 570S costs $1,550, and includes three 20-minute sessions with an instructor, hospitality, and lunch. The Performance Academy – a full-day experience that includes one-on-one time with a driving coach, six on-track sessions, a night at a hotel, and dinner – costs $5,700 for the 570S (Novice level), and $9,750 for the 720S (Advanced). The Advanced level also includes an extra half day of driving, as well as more class time. McLaren owners can also take advantage of the course with their own cars, too. 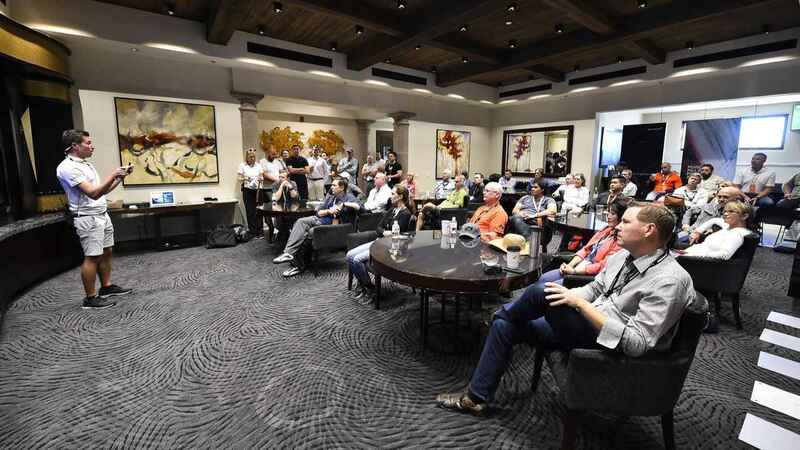 One day at the track, which includes one-on-one time with an instructor and hospitality, starts at just $1,800, or $3,000 with accommodations and meals.